Elegantly nestled among breath taking rice terraces around the village of Pererenan and situated a few hundred meters away from the world famous Echo Beach, it was designed to deliver a private, relaxing and secluded natural environment and, at the same, to offer all the services (and more...) typical of a hotel. 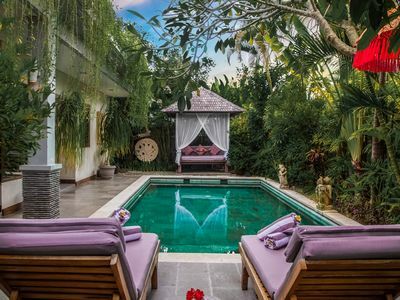 With also being a short distance away from most of the fine things that Bali can offer, this villa has all the ingredients to be the perfect destination for an unforgettable holiday in Bali’s tropical paradise. 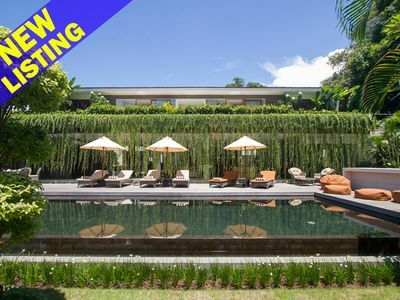 A unique place of understated elegance in a quiet and secluded location surrounded by pristine rice fields, just a short stroll away from the world famous Echo Beach. 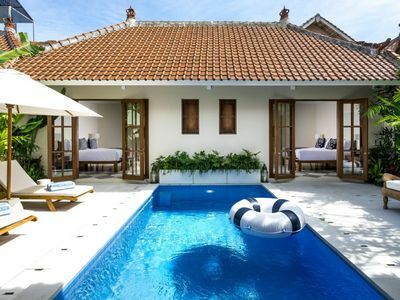 One of an enclave of nine villas known as Canti Asri Villas, this cozy two-bedroom villa is perfect for a family or a group of friends looking for a private place to relax and get spoiled, but who also want to be a short distance away from all the best activities and places of interests in Bali. 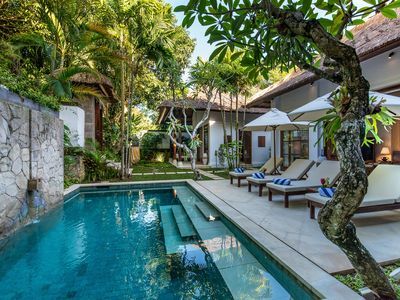 The villa is blessed with the perfect location close to the Temple of Tanah Lot and only 15 minutes away from the trendy area of Seminyak with its vast array of beach clubs, fine dining restaurants and bars. 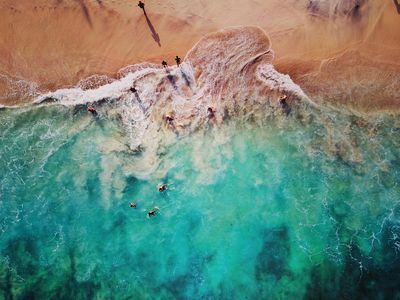 There is a world-class championship golf course (Nirwana Golf Club) within a 20-minute drive as well as some of the world’s best surf breaks on your back door step. 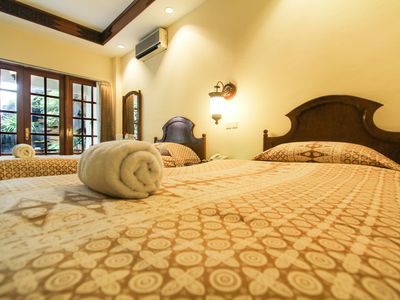 The second bedroom is located right next to the covered terrace and the pool and has stone floors and a luxury king size bed. 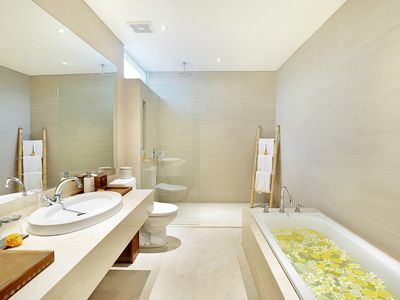 The en-suite bathroom is spacious and has a bathtub with shower plus ‘his and hers’ washbasins. A 9 x 5 meters pool dominates the outdoor area and is flanked by the second bedroom. 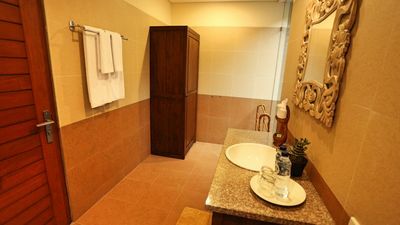 All the rooms have air-conditioning and both the living and dining rooms can be closed off for air-conditioned comfort. 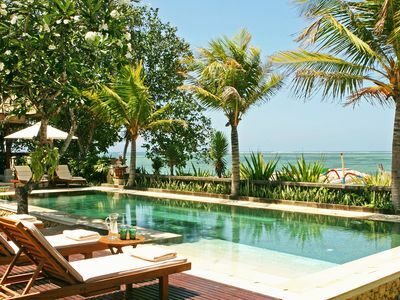 The private pool is accessible from all rooms while the garden features lush plantation and a traditional Balinese bale' or pagoda. 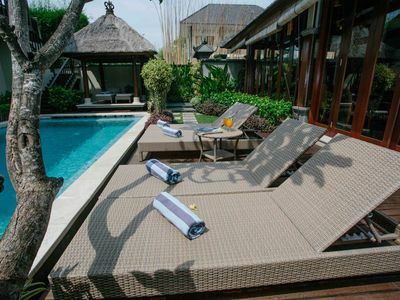 A spacious wooden deck with soft loungers is ideal for sunbathing. In the garden a large Buddha statue sits next to the relaxation Bale at the far end of the pool. Fountains around the garden, characterized by gentle waterfalls, fill the villa with the relaxing sounds of running water. The covered open-air living terrace with restful rattan sofas is well placed to enjoy the tropical breeze, a perfect area for relaxing by the poolside. 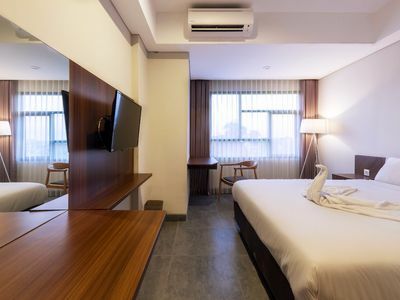 The kitchen is well-equipped with marble work top, a four-burner gas hob, electric oven, water dispenser, a refrigerator/freezer, shelves, storage cupboards, and a good range of utensils. Since the dawn of time Bali has been known as the ‘Island of the Gods’, a mystical and beautiful place that has captured hearts and imagination. Leaving the main road to Tanah Lot (an ancient Balinese temple by the sea), and the famous Nirwana Golf and Country Club, the drive into the charming village of Pererenan is stunning. Gently rolling valleys stepped with ancient rice paddies provide the perfect backdrop for those looking for traditional views of Bali. Set among this magical scenery is this villa, designed to melt into the backdrop of rice terraces, a river, the beach and the Village of Pererenan. 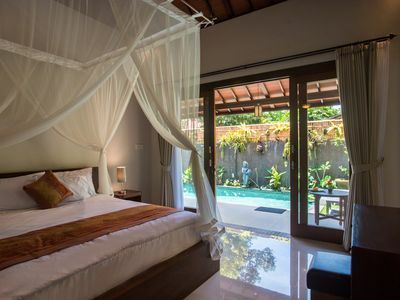 Situated just 35 minutes away from Ngurah Rai International Airport, the villa is also within easy reach of Bali’s trendy shopping areas and nightlife and of some of the best places of interest of the island. 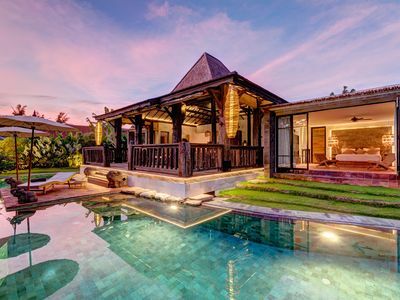 The fashionable area of Seminyak, famous for the boutique shopping, alfresco dining and nightlife, is just 15 minutes drive away while the temple of Tanah Lot and the Nirwana Golf and Spa Resort can be reached in 20 minutes. 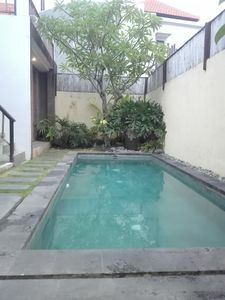 Offers an excellent combination of a peaceful location close to the beach and among rice fields, with all the services you would expect from a private villa, such as your own personal private chef and housekeeper, private swimming pool, professional spa therapists on call and your own private driver and car for eight hours a day. 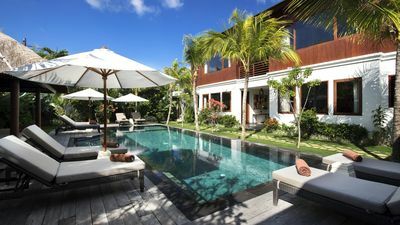 Set back 500 meters from the beach, this villa is filled with banana trees, bougainvilleas and tropical flowers which dot a garden dominated by sun loungers, a Balinese umbrella and a 8 meters swimming pool, complete with relaxing water fountains and a bale gazebo. Timuato Cottage by Harry & Mimin. 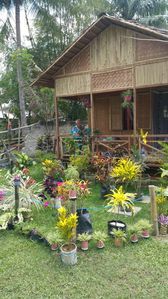 Located in Gorontalo near the lake of limboto. 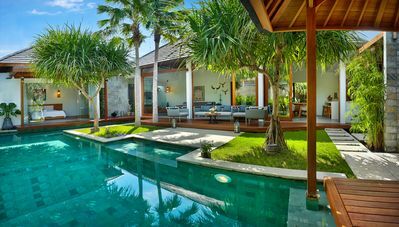 Villa "I LOVE YOU" inhale Bali vibe! Brand New!